Our company holds immense experience in this domain and is involved in offering wide assortment of Automatic Board Punching Machine. We are engaged in offering Board Punching Machine. In order to meet excellent quality standards, we are supplying Board Punching Machine. 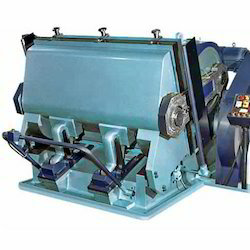 Hydraulic paper / board punching m/c of newly made very sophisticated design with capacity to punch paper / board ranging from very small size to max. size( 14"dia./ square) upto 1000 pcs. to 1200 pcs. in one stroke. 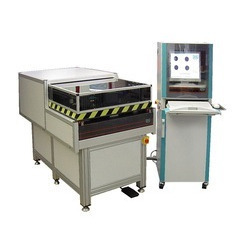 Daya platen is designed for die-cutting, embossing and creasing job on paper, card board, corrugated board, fiber board, vinyl, foam, rubber, leather, masonite, cork sheets, polyurethane, linoleum, etc. This is the right machine for printing presses to emboss stereoscopic designs and letters on delicate printed matters to meet the demand of both packaging & printing industries.